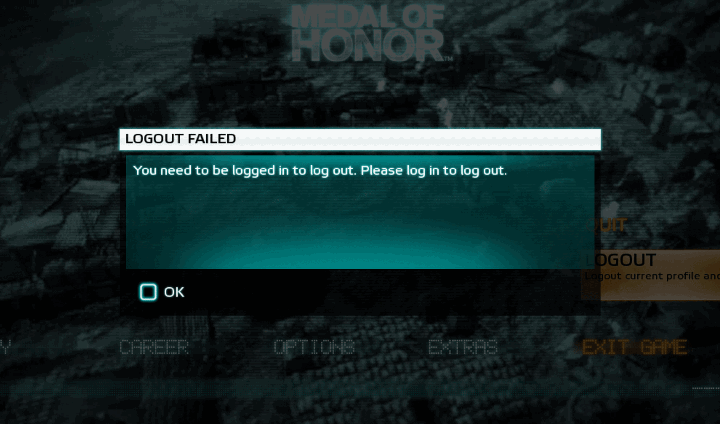 "From the new Medal of Honor," writes Michael, "I just wanted to log out, and even though I already WAS logged in I apparently needed to log in again in order to log out." 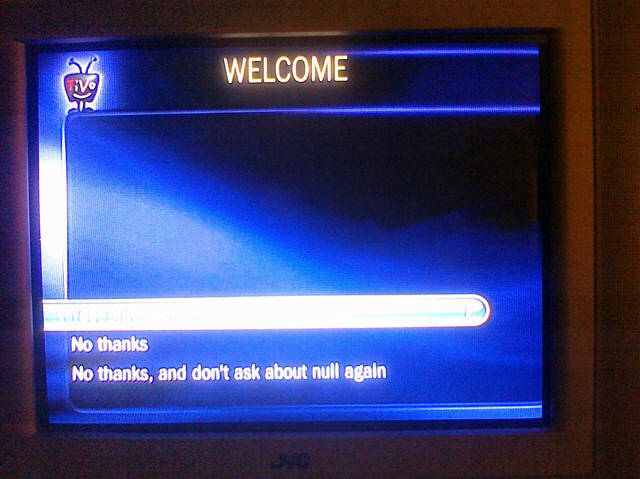 "This popped up on my TiVo," writes Dan Bunyard, "I'm not sure, should I choose to never be asked about null again?" 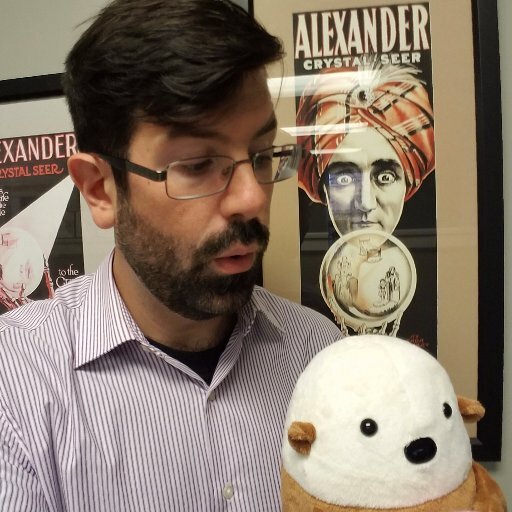 "I got this message after accepting a request to help out in Family Feud on Facebook profile," Matt Hehman writes, "I guess some devs are so pessimistic that they don't code for success handling." 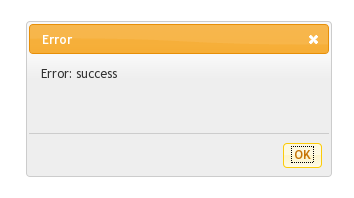 "Hmm, maybe I should call to order some take out," writes Matt, "oh... 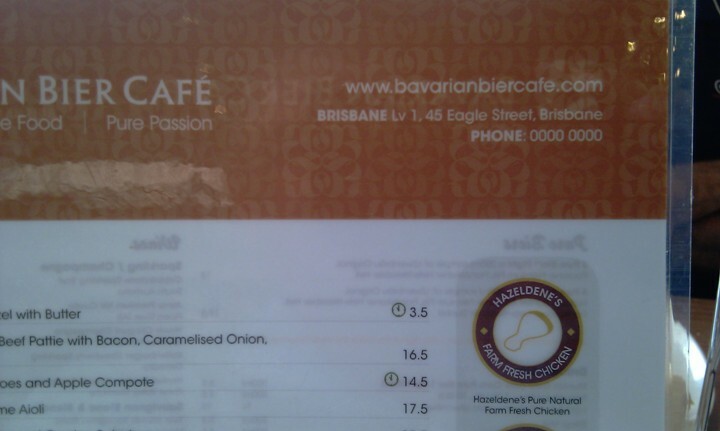 wait." 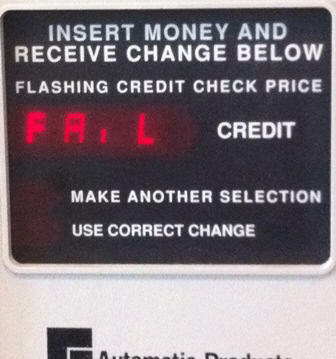 S K writes, "it seems like everything has to remind me of my poor credit." 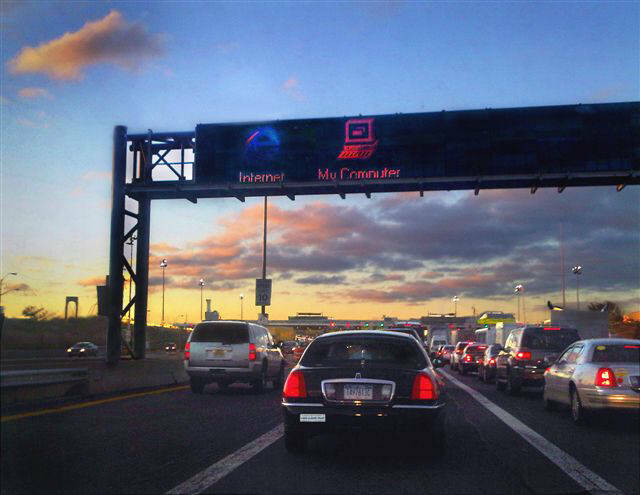 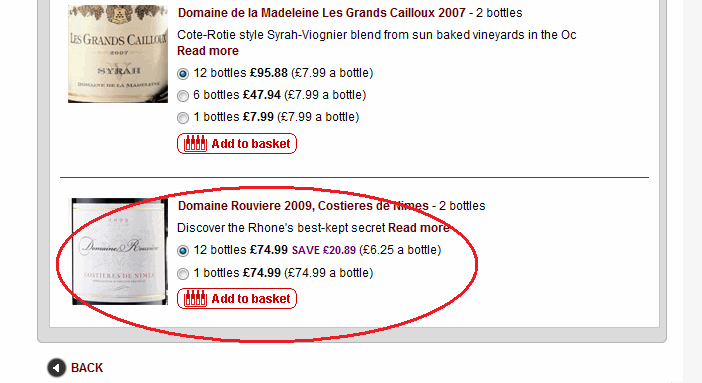 "I spooted this questionable value while browsing the telegraph wine site," wrote Ian W."
"Saw this on the toll plaza," writes Geoff Bloss, "I guess the left lane takes us to the information super-highway." 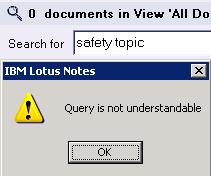 "Lotus Notes never ceases to amaze," notes Christophocles , "I'm not sure how 'safety topic' is a hard to understand query."